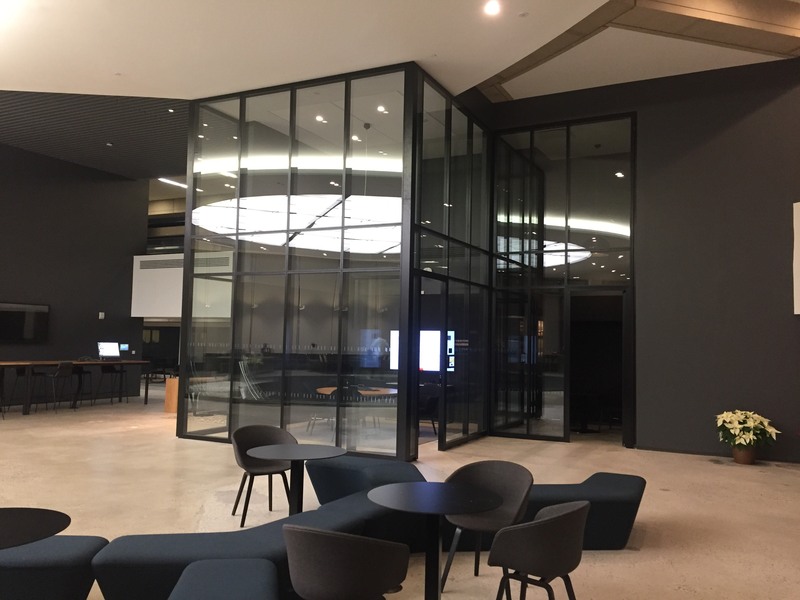 Our client wanted to re-purpose the large atrium lobby of its operational headquarters in order to revamp the underutilized real estate and provide more collaboration areas for a changing workforce. 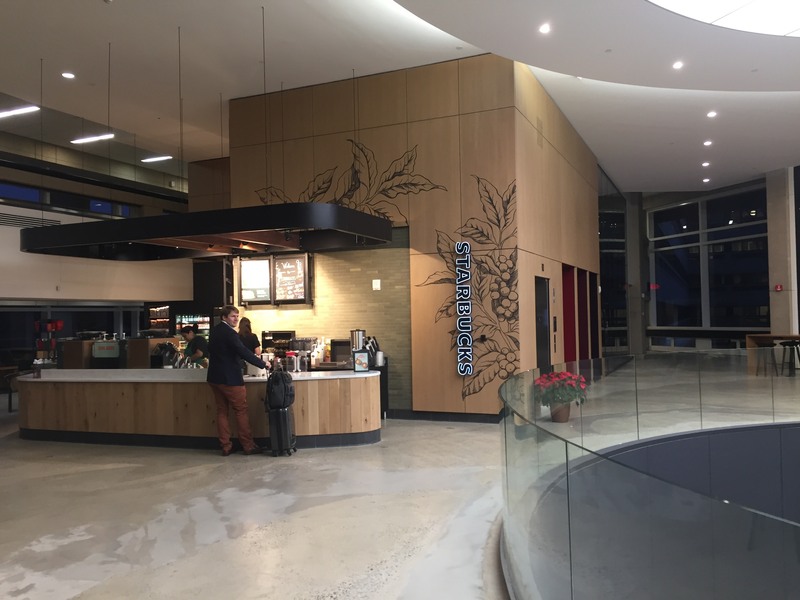 Working closely with the client, Gensler, and AECOM Tishman, we helped create and install 12 new meeting spaces, including a Starbucks, around the perimeter of the atrium in accordance with a very specific set of aesthetic and physical requirements. A historic facility, it was critical that the new construction naturally blend with existing building elements. Glass fronts were an obvious choice to prevent compromising the look and feel of the open atrium. Our solution also needed to support the latest technology and achieve a high degree of acoustic privacy. Installing the glass fronts created a unique challenge since our solution needed to address the atrium’s varying ceiling heights, the tallest reaching almost 20 feet. We also needed to complement the historical building’s interior and exterior architectural features, and ensure acoustical privacy was achieved to limit sound transmission throughout the atrium. We incorporated String2 from Maars Living Walls, currently the only product in the marketplace that can reach the atrium’s two-story ceiling height. Our solution was able to match the aesthetics of the base building glass, and its double-glazed option provides industry-leading acoustic performance in the large, open space. associated with the installation of two story glass partitions. Our team approach supported the smooth workflow required with multiple trades working concurrently in same space. The careful planning and communication among the entire project team enabled us to begin installation of the glass fronts as spaces were available, without interfering with work being completed by others.